Telemedicine Fraud Investigations Defense Lawyers - Oberheiden, P.C. The following summary provides an account of cases in which the attorneys of Oberheiden, P.C. were engaged to defend physicians and other healthcare providers against telemedicine investigations. Telemedicine and telehealth services have become a popular tool to treat patients in a mutually comfortable setting. Unfortunately, however, the laws and regulations of telemedicine have not caught up with the rapid speed of technology. The discrepancy between technological possibilities and existing laws has become particularly evident with respect to federally funded patients. An environment of uncertainty, confusion, and increasing law enforcement is the consequence. 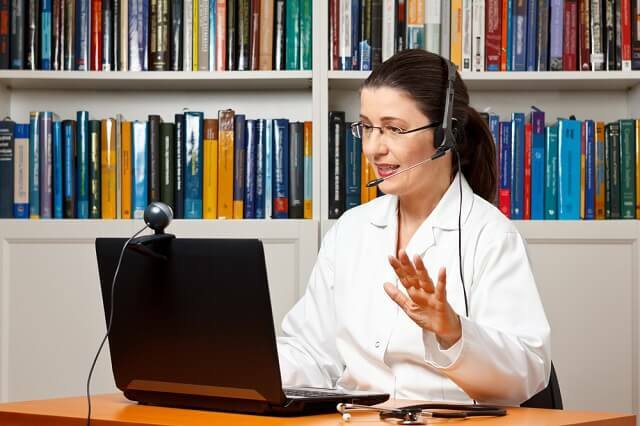 Contrary to common misconception, the rules for telemedicine services are not the same as traditional treatment rules, and they are also not uniform among the fifty states. With respect to telemedicine for federally funded patients, the attorneys of Oberheiden, P.C. know first-hand that the federal government has broadened its monitoring and confronted physicians with severe civil and criminal penalties for their alleged violations of state and federal telemedicine laws. In many of the cases in which we represent the defendants, physicians were approached by marketing companies to consider telemedicine as a lucrative ancillary income source. Physicians fresh out of medical schools, burdened with heavy loans, and more seasoned physicians, who have witnessed the decrease in reimbursements for core services, have welcomed the opportunity to treat an extra number of patients that were provided and set up by marketing groups. Overlooked in these scenarios was the fact that telemedicine laws are narrow and that violations can result in a federal investigation against the physician. Why Is the Federal Government Investigating? There are a number of reasons why a telemedicine consultation may attract the attention of federal law enforcement agencies. First, the telehealth treatment session was for a federally funded patient (e.g. Medicare, Tricare, Department of Labor) in violation of existing laws and regulations. Second, the telemedicine resulted in prescriptions subject to the Drug Enforcement Administration (DEA), a federal supervisory and enforcement agency. Third, unbeknownst to the doctor, the patient resided in a state in which the physician was not licensed, or, similarly, the telemedicine consultation occurred when patient and physician were in different states. In each of these situations—federal patient or multi-state scenarios—the federal government may exercise jurisdiction. In the cases in which the attorneys of Oberheiden, P.C. have been involved, the physician was provided patients from marketing companies and was simply not aware that an inter-state relationship had been created. Our experience in telemedicine investigations is broad and we are among the country’s most in-demand healthcare fraud defense firm. Our attorneys are exceptionally familiar with all nuances of healthcare law, including all aspects of telemedicine laws. Unlike traditional healthcare lawyers, we understand not just the underlying laws, but routinely argue healthcare matters at the U.S. Attorney’s Office, the Department of Justice, the Department of Defense, and other agencies. Our track record includes dozens of cases, in which we got our clients a “no civil and no criminal liability” outcome in healthcare fraud cases. Many of our attorneys have served the Department of Justice in critical healthcare law positions and incorporate that experience and knowledge to the benefit of our clients. This governmental experience provides our clients valuable insights as to how, why, and when the government conducts audits and what defenses are generally accepted by federal decision-makers. If you are concerned about your telemedicine practice or if you are under investigation, call attorney Dr. Nick Oberheiden directly. No secretary or paralegal will answer your call and waste your time.